When is the last time you took a vacation? 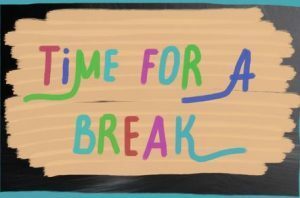 If it took you more than a few seconds to answer that question, there’s a good chance it’s been too long since you’ve taken a break from work and given your mind and body the chance to relax and rejuvenate. There are many studies that have shown that vacations can be great for you. Take a look at a few ways you could benefit from vacationing as soon as possible. It will make you a more creative person. If you’re like most people, you spend all day thinking—and overthinking—about everything you have to get done. You are constantly using your brain, so you probably think that it’s growing stronger by the minute. However, studies have shown that the brain learns how to solve problems better and improve creativity when it shuts off and has time to do little more than daydream. You will get the chance to do this when you take a vacation. If you are constantly working, working, and working some more, are you ever really giving your best effort? A study once showed that elite athletes and musicians performed their best when they worked in intervals. By working hard for a period of time and then taking a break, they were able to maximize their performances when they were working. You can do the same thing. When you work hard and then reward yourself with a much-needed break, you will be more productive overall when you are working. Studies indicate that people who take several short vacations throughout the course of a year are happier than those who only take one vacation or don’t take any vacations at all. That happiness could play a big role in the well-being of your body and mind and allow you to take a more productive approach to life when you’re working. If you’re currently in search of happiness, why not start by booking a vacation for yourself to see how much better you’ll feel after it? 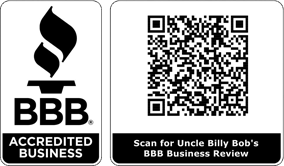 Uncle Billy Bob’s knows the value of a good vacation and can provide you with everything you’ll need to get away and have a great time. Our accommodations will let you unwind and enjoy yourself so that you can reap the benefits of a vacation. Call us at 208-462-5BOB today to make a reservation.